As young learners, your children will be writing all year long. But, make it little more fun by attaching a seasonal theme. 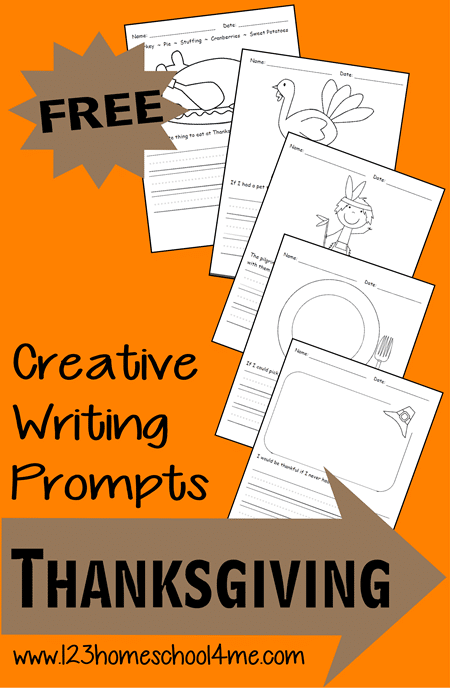 You will love these Thanksgiving Creative Writing Prompts from 123 Homeschool 4 Me! Included are spaces to draw or color pictures as well as the writing prompts! They are perfect for preschool and early elementary students. Get your FREE Thanksgiving Creative Writing Prompts here!